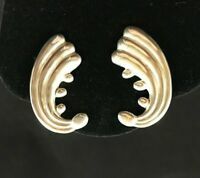 Vintage Sterling Silver Onyx Turquoise Coral Signed TM 206 Mexico 925 Earrings!! 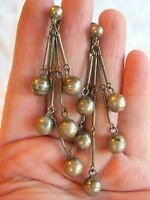 Vintage Ladies Sterling Silver Necklace - MEXICO - TAXCO - Don’t Miss Out! Vintage Rustic Long Circle Oval Hoop Earrings, Sterling Silver, Taxco Mexico 1"